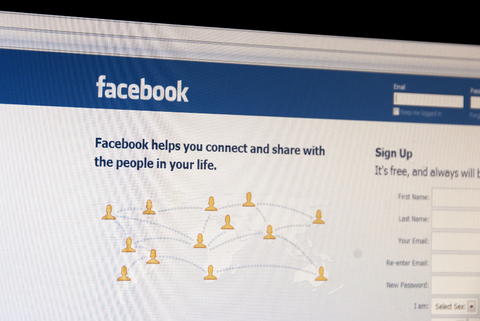 Have you ever said, “I hate Facebook,” because it takes up too much of your time? Would you like to learn how to use Facebook more effectively and efficiently? Some of my Facebook friends have recently taken a break from Facebook for a month, and some have decided to give it up for Lent. One said it was taking up too much of their time. Another said they “want to focus more on real relationships,” or something like that. Meaning, I guess, that they wanted to talk to people face to face instead of via the Internet. As if one mode of communication is more valid than another. I understand the sentiment (and I’ve got no problem with anyone who wants to take a break from or quit Facebook), because I know how easily Facebook could dominate my life. If I let it. But I don’t. I believe Facebook has its place. It can be a wonderful tool to help you keep in touch with people you want to stay connected with – whether they are family, friends, clients, old classmates, or acquaintances – and grow your influence in the lives of others, if you know how to use it without becoming addicted to it. The funny thing is that some people think I’m a Facebook addict because I post frequent status updates on my page, and I comment a lot on other people’s pages. I’m no addict. I’ve just learned some simple ways to enjoy the positive impact of Facebook in my life and work while minimizing the distractions. Use Facebook on your terms. Don’t think you have to live up to the expectations of others. Be yourself, and use Facebook as much, or as little, as you’d like. Skip the games. I get a lot of invitations to play games via Facebook. I ignore them all. I’m glad that others enjoy playing games and that they’d like to play with me, but I just don’t care to use Facebook in this way, personally. Turn off the chat. I used to get frequent invitations to chat on Facebook. Sometimes these were fun conversations with people I was excited to connect with at the time. Other times it was just “Hi, how are you?” “Fine, how are you?” “OK. What are you doing now?” “Nothing, what are you doing now?” I was a happy man when I discovered how to turn off the chat option. Update your status as much, or as little, as you want. Personally, I typically update my status at least once a day, and often more frequently. But some of my friends never update their status. They like having a Facebook page so they can connect with others who want to find them, but they never care about sharing what’s going on in their lives. If that’s how you feel too, that’s A-OK! Set time limits. If you’re worried that Facebook might monopolize your time, decide in advance how often you’ll check Facebook, or how many minutes you’ll spend on it. One of my friends, Lynn Terry, used to say that she’s in and out of Facebook as fast as she’s in and out of a public restroom. I’m pretty much the same way too. I might go in and check things several times a day, but I’m rarely on more than a few minutes at a time. Really. Use friend lists. One of my favorite strategies is to segment my friends into lists. I have a list of church friends, old school friends, business friends, etc. What I like about this is that, within a minute or two, I can quickly check to see what’s happening within a certain segment of my friends. And I check some lists more often than others. Subscribe to status updates via SMS feeds. If there are certain friends you really want to keep up with via Facebook, you can subscribe to their status updates via an SMS feed to your mobile phone. This is another one of my favorite strategies! One couple I know has been going through some serious health issues lately and the wife has been hospitalized. I subscribed to the husband’s Facebook status via SMS feed so I can stay up-to-date with what’s going on in their lives. Last night he posted on Facebook that his wife had just fallen asleep in her hospital room and that he wanted to get some exercise with anyone who’d want to come and run with him. I was able to quickly respond, and was running with him within an hour. Use the Facebook App for your mobile device. About half of my Facebook interactions happen via my iPhone instead of my computer. I find that I spend less time on Facebook via my phone than the computer. Don’t use the Facebook App for your mobile device. You might find that you spend more, not less, time on Facebook if you set the Facebook to send every single notice or status update to your mobile device. I set mine to send me only direct messages that people send to me, and comments people make about my status. Block or unfriend people as needed. Don’t be afraid to block or unfriend people you know longer want to interact with on Facebook. Also, don’t feel any obligation to accept a friend request from someone you don’t know or don’t want to connect with. How do you use Facebook? What tips or strategies can you relate to? What would you add to my list? Can email addiction keep you from achieving your goals? Really Interesting post!! The tips you mentioned are really good and hope implementing some of these will reduce the amount of time usually spend on Facebook! Hi Navya, thanks for visiting my site and for sharing your comment!